No matter what time of the year, you’ll never have to put up with dry, patchy skin again. Apply Dr. Chen® Hand & Body Lotion on your entire body and your skin will feel younger and smoother right away! 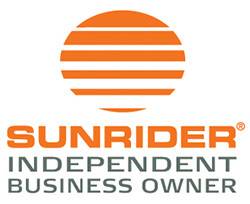 Sunrider’s Advanced formulas help seal in moisture and restore dry skin to a revitalized state. Our formula contains high concentrations of antioxidant vitamin E. It also contains a highly concentrated combination of herbal extracts, natural oils, and seaweed extracts. It leaves skin feeling soft and smooth, never greasy. Apply smoothly over the entire body, with extra care to dry areas. For additional benefits, apply before bedtime as overnight “nutrition” for the skin. Kandesn® Gentle Cleanser is ideal for sensitive skin; however, the formula is designed for all skin types. It will not aggravate oily, sensitive, irritated, or acne-prone skin. Superior, concentrated herbal extracts in Kandesn® Gentle Cleanser soothe the skin while cleansing it. The slightly acidic formula is designed to be in balance with the skin’s natural pH which helps balance the skin’s crucial oil-to-water ratio. 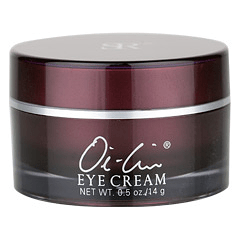 Oi-Lin® Eye Cream by Sunrider® is a complete, concentrated herbal eye treatment that moisturizes, reduces puffiness and dark circles around the eyes, and smoothes skin. This fast-acting formula offers the latest in skin care technology. Apply to the skin around the eye area in a gentle dabbing motion morning and night. Follow with Dr. Chen® Refining & Lifting Cream and Oi-Lin® Replenish Gel. Store product in a dark area to preserve the effectiveness of the ingredients. This cream lives up to its name. Designed with Sunrider’s promise of owner expertise and state-of-the-art skin care technology, it brightens, smoothes, tones, and refines skin. Oi-Lin® Exceptional Cream contains a potent, gentle, stabilized form of the antioxidant Vitamin C. Other skin care products usually do not contain a stable form of Vitamin C, so the Vitamin C breaks down quickly after the product is opened. The Vitamin C in our Exceptional Cream is not only stabilized, it’s also concentrated for maximum effectiveness. This amazing cream evens out your skin tone, so skin looks smooth & healthy. Because it’s formulated with ingredients like concentrated squalane, you’ll see and feel immediate results. 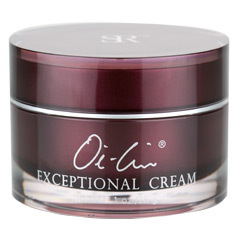 Incorporate Oi-Lin® Exceptional Cream into the Kandesn® Skin Care regimen of your choice. 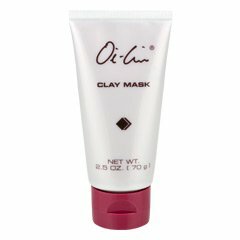 Apply Oi-Lin® Exceptional Cream to a cleansed face and neck. 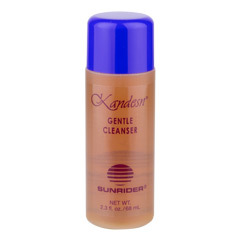 Formulated by Sunrider to be extra gentle, even sensitive skin can enjoy the benefits of this special cleansing cream. This high-quality cleanser gently lifts makeup and oily dirt without drying out the skin, yet does not leave an oily feel. Men and women alike will enjoy the soft and smooth feel of the skin after cleansing. A broad array of herbal extracts and other botanically derived ingredients nurture the skin and help keep it moisturized and healthy looking. The light and natural cucumber-melon scent is pleasant and gender neutral. Spread an ample amount of product over the entire face. Gently massage entire face with fingertips. Remove the cream with a damp cotton facial cloth. One or two capsules three times per day as desired. For flawless skin that’s nourished and protected, look no further than Oi-Lin® Deep Moisture Lotion Tinted Sunscreen SPF 25. Sunrider’s “light-as-a-feather” formula provides natural coverage to even skin tone and keep it nourished, hydrated, and protected all day long. Infused with age-defying antioxidants and essential oils, you can wear it alone or under powder for a more polished look. This skin care product provides a natural, healthy, radiant glow that easily diminishes the look of imperfections, creating flawless skin everyone will envy.